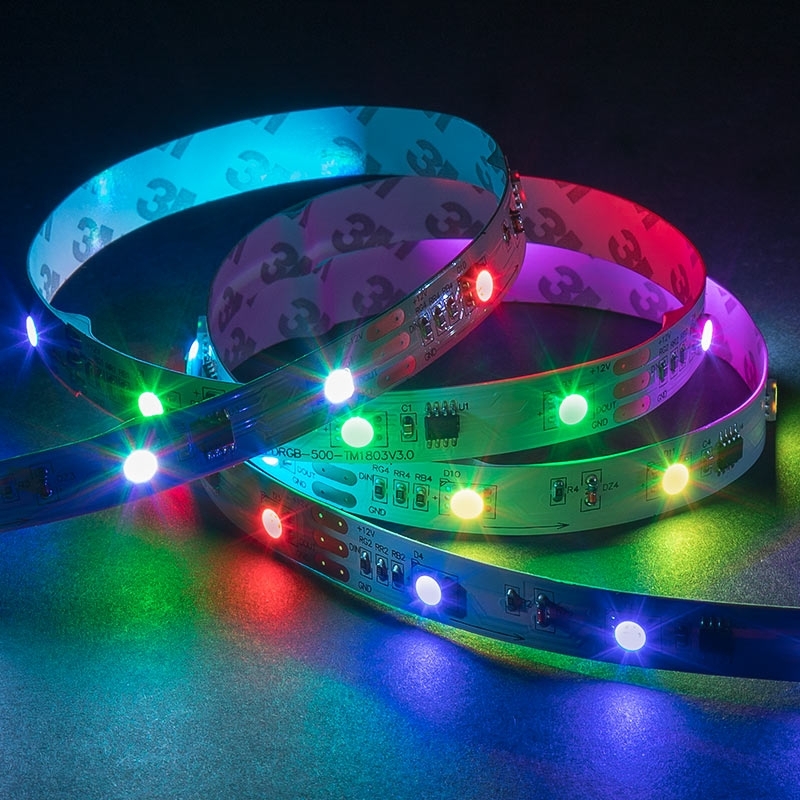 Color Chasing RGB LED Light Strip Kit - LED Tape Light with 9 SMDs/ft. 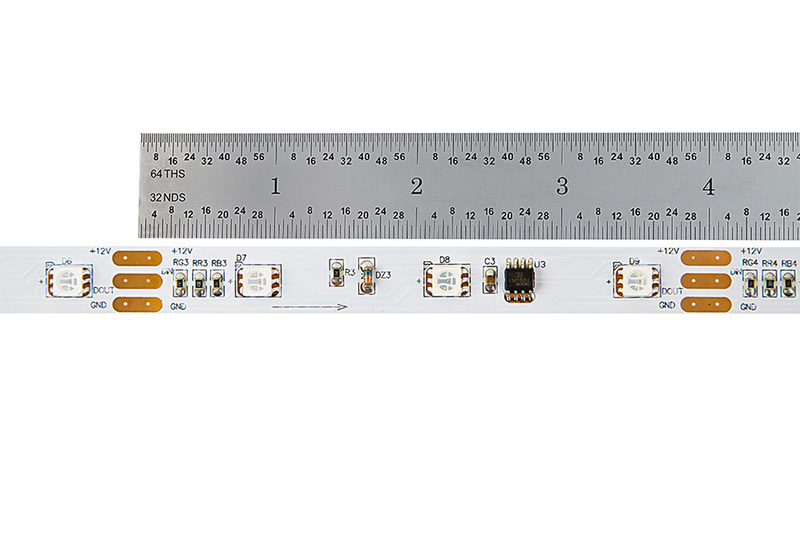 - 3 Chip RGB SMD LED 5060: Shown Installed Along Stage. 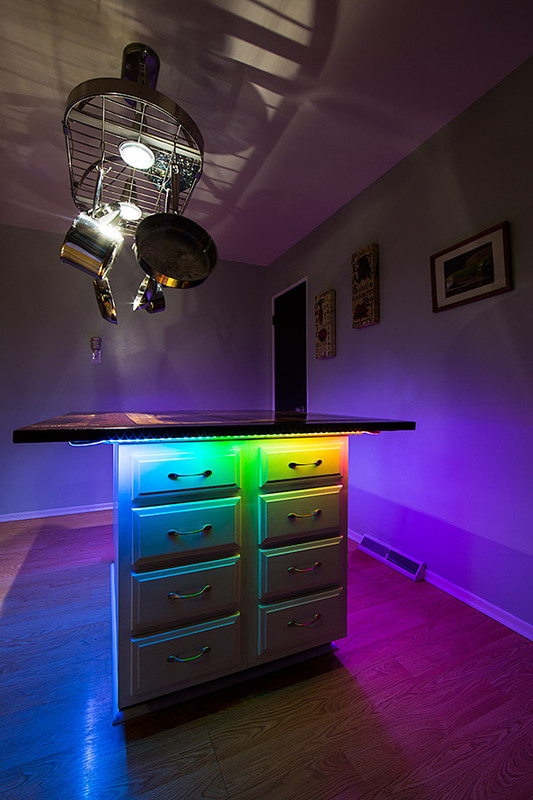 Color Chasing RGB LED Light Strip Kit - LED Tape Light with 9 SMDs/ft. 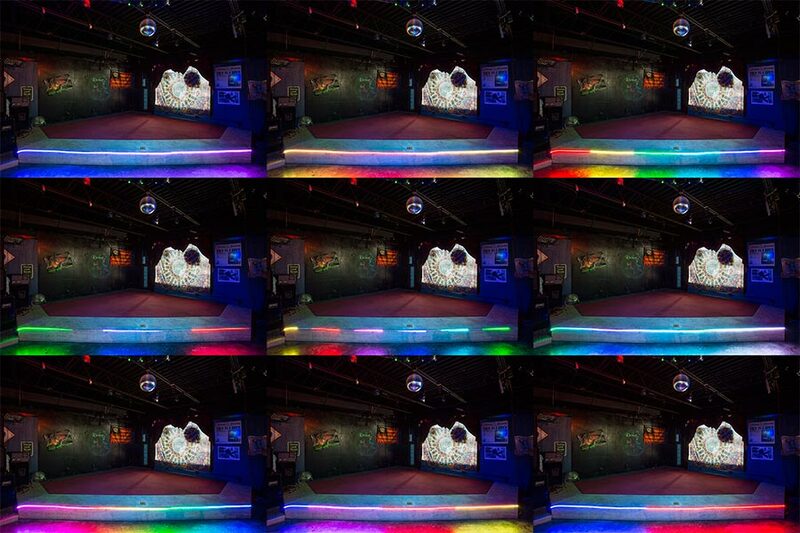 - 3 Chip RGB SMD LED 5060: Shown On In Various Dream Color Modes (All Modes Not Shown). 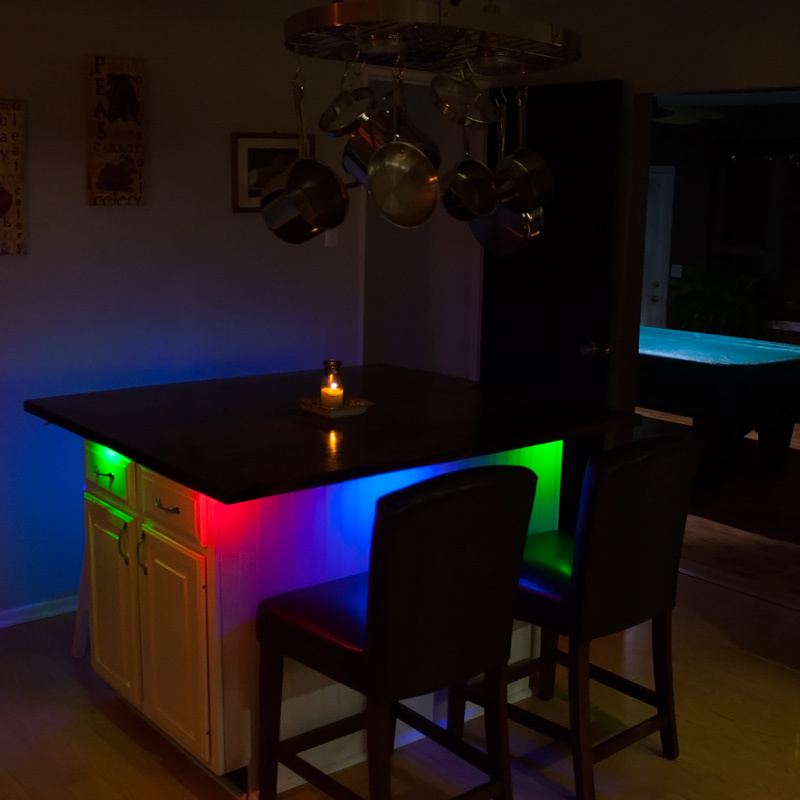 Color Chasing RGB LED Light Strip Kit - LED Tape Light with 9 SMDs/ft. 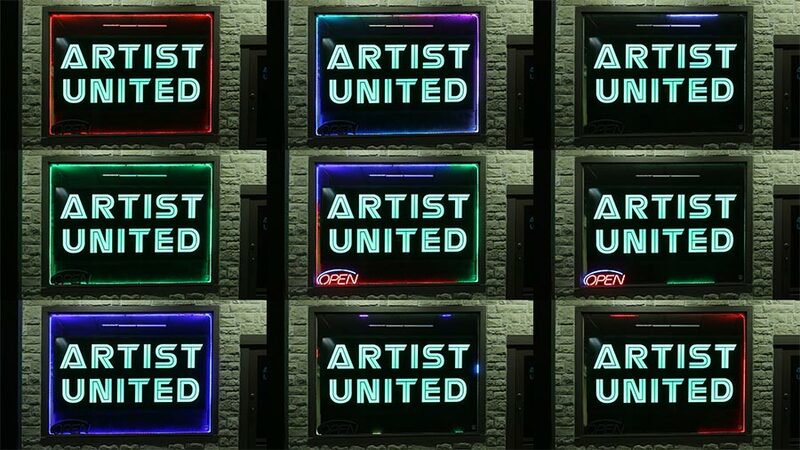 - 3 Chip RGB SMD LED 5060: Shown In Various Modes Around Storefront Window. 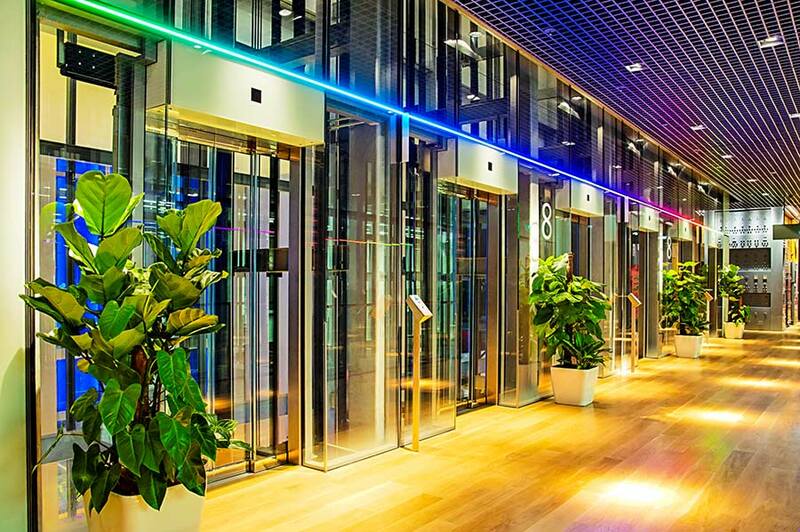 This Color-Chasing RGB LED Light Strip is perfect for cabinet lighting, under-cabinet lighting, toe-kick lighting, cove lighting, bias lighting, store window lighting, bookshelf lighting, showcase lighting, cupboard lighting, or for other indoor applications where space is limited. 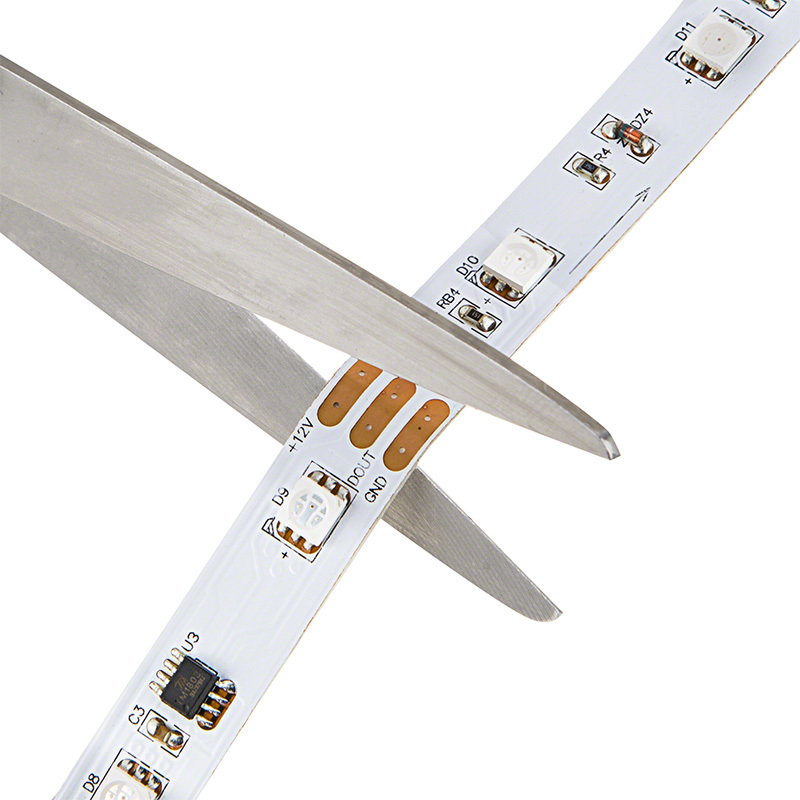 The flexible 16-1/2' strip has 150 LEDs (5060 SMD) with an output of up to 1,020 lumens. 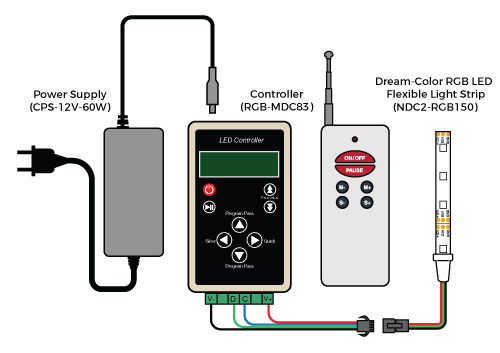 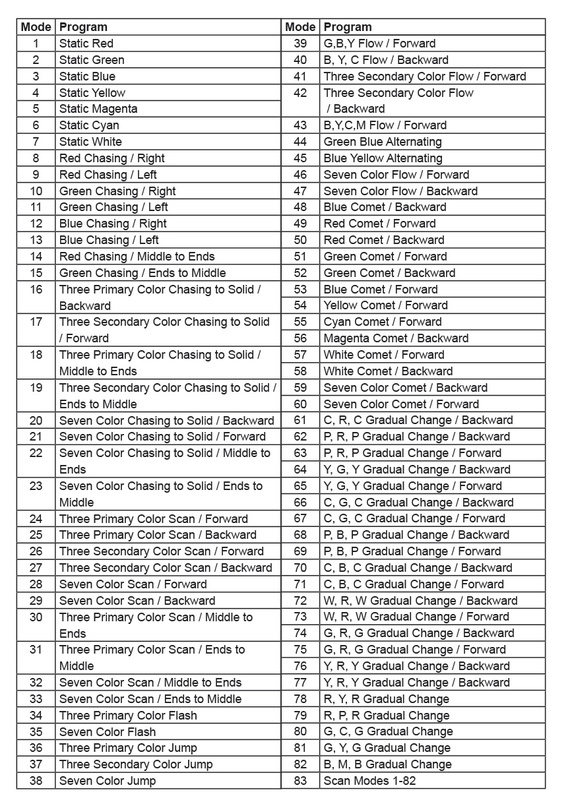 Colors and color modes (color-chase, fade, and strobe) are adjustable with the Dream Color Chasing RGB LED Controller with Wireless RF Remote. 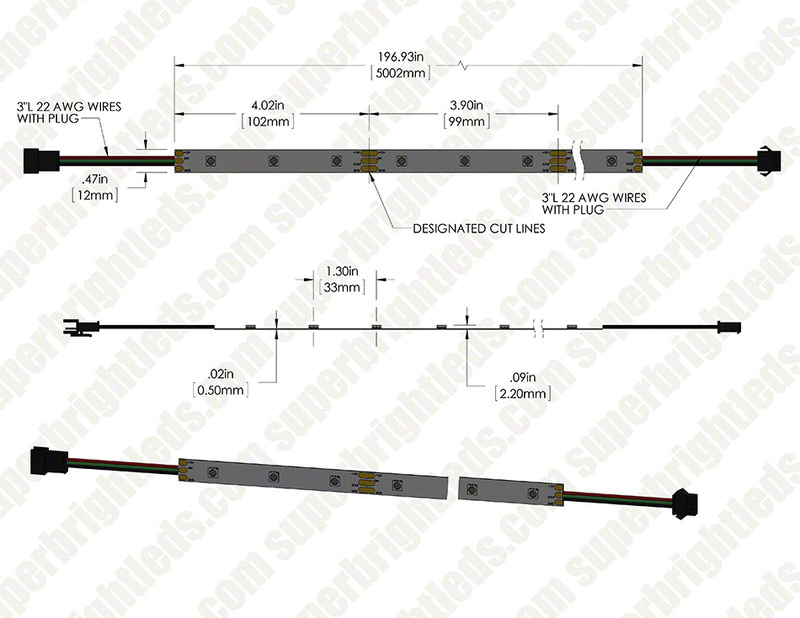 The non-weatherproof light strip operates at 12VDC and is designed to last 40,000 hours. 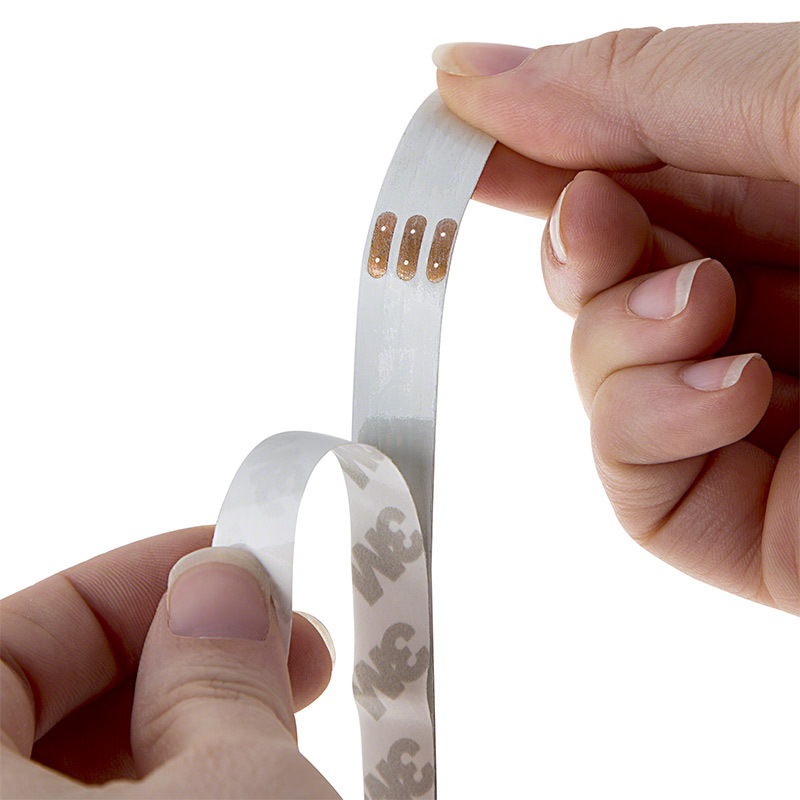 It can be cut into 3-LED segments and installs easily with a peel-and-stick adhesive backing. 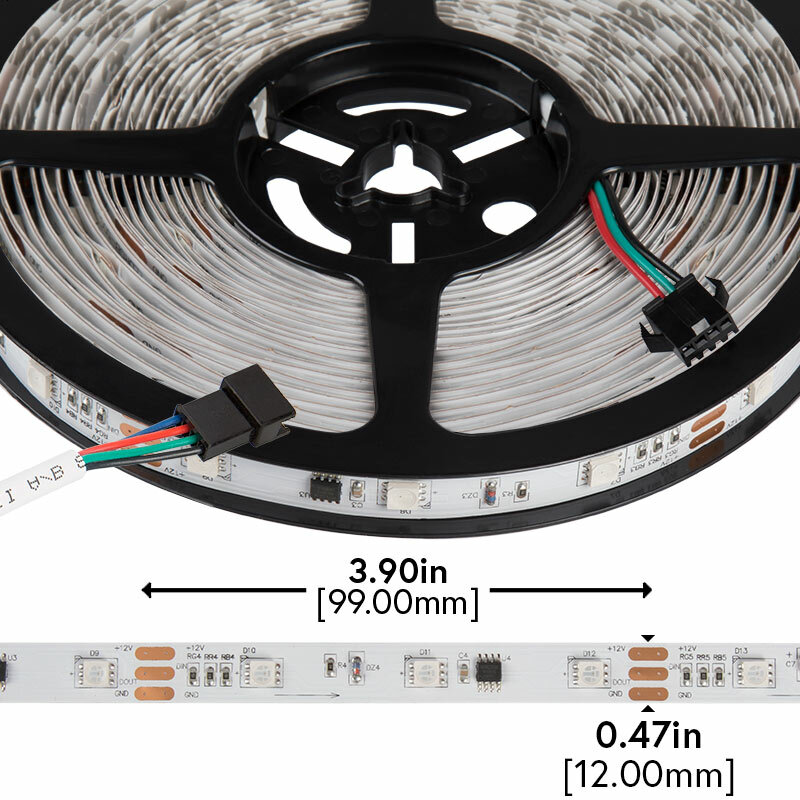 Outdoor RGB LED Strip Light Kit - Color Chasing 12V LED Tape Light - Waterproof - 37 Lumens/ft. 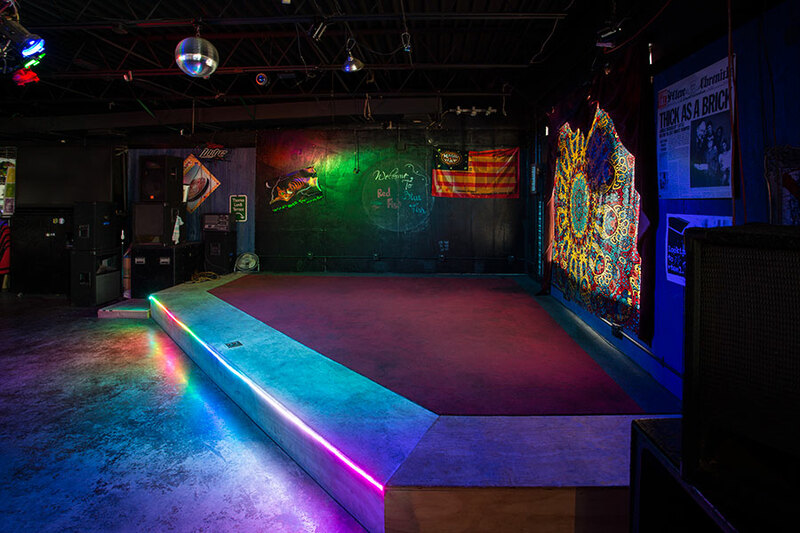 RGB LED Strip Light Kit - Color Chasing 12V LED Tape Light - 22 Lumens/ft.